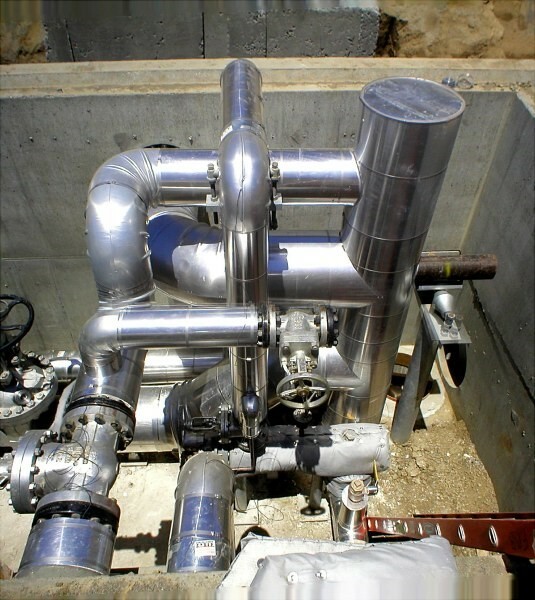 Gayner Engineers is the Engineer of Record for this underground steam and condensate return piping project. Computer piping stress calculation was performed to check for thermal stress and seismic load and anchor design for both the high pressure steam and condensate return systems. The construction documents included detailed piping layout, profiles, existing utility reroute, and vault construction details. The run is approximately three quarter of a mile long with multiple vault for PRVs and traps.